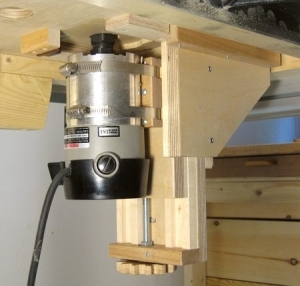 Homemade router lift featuring wooden slides and gears. superb,genius. Matthias he can make great jigs. australia.